Monday will be a very busy day in Georgia politics. The state legislature will officially begin the 2019 session, which will include tackling the issues of new voting machines, oversight at Atlanta's aiport and medical marijuana. Gov.-elect Brian Kemp will be sworn into office today after a tumultous campaign against Democrat Stacey Abrams. Monday also marks the final moments of Gov. 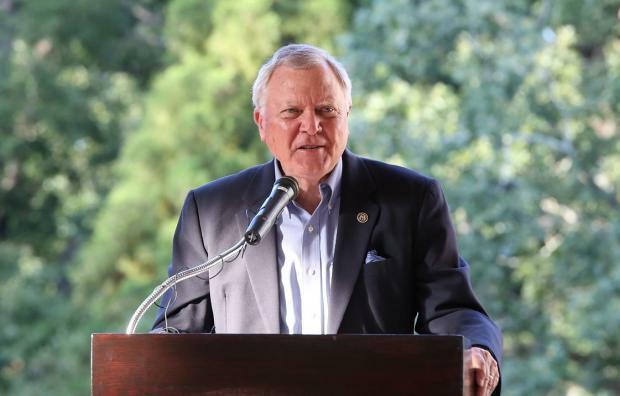 Nathan Deal's tenure, who served the state for eight years. GPB political reporter Stephen Fowler sat down with Leah Fleming to give a preview of all the day's events. You can catch live coverage of today's inauguration on GPB Radio and TV, starting at 1 p.m.
One of them is where country music’s first major hit record, Fiddlin’ John Carson's "The Little Old Log Cabin in the Lane" was recorded for OKeh Records in 1923. GPB's Rickey Bevington spoke with Kyle Kessler in the shadow of 152 Nassau. Friday marks 21 days into the partial government shutdown, with little sign of resolution. Earlier this week, President Donald Trump made a prime-time appeal to fund the border wall, which is the sticking point. On Wednesday, he walked out of a meeting with congressional leaders. Democrats said Trump threw a "temper tantrum."